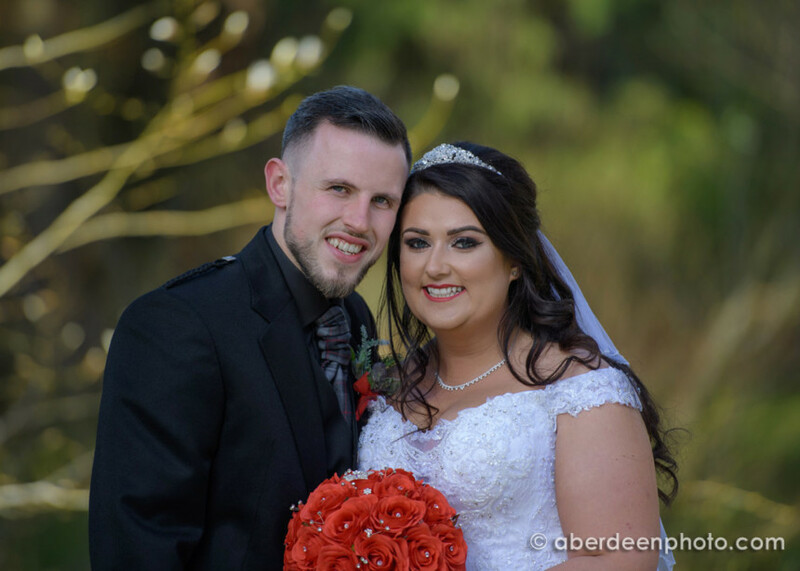 Saturday (30th March) was the big day for Kirsty and Paul, at the beautiful Norwood Hall. It was raining in the morning but by 11.30am when I was leaving for the wedding, the sun was shining (a bit too much!). I started with shots of the girls getting ready, and also the dresses, flowers, jewellery, and shoes. Then I met Paul, the Groom with his best man, Calum, and the two Michael’s who were the ushers, before photographing all 140 guests before the service. The room looked great with 140 seats all adorned with beautiful white and red covers, huge trees framing the service by celebrant, Mervyn Barr. I started with the family groups (letting parents back to mingle as soon as possible) followed by the bridal groups, before getting photographs of Kirsty and Paul in the grounds. The low strong sun, and the trees still being a bit bare made the lighting a little difficult but I kept them in the shade of a large tree or had the sun behind them. I finished the bridal portraits on the beautiful Norwood staircase. 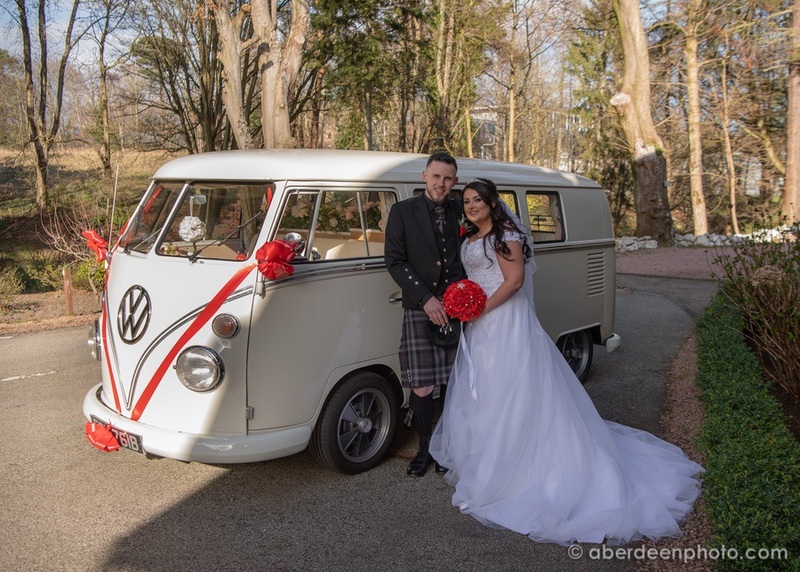 There were shots with the camper van (Granite City Car Hire), the stunning Pitfodels suite, and all the men in kilts, before Kirsty and Paul joined their guests for drinks. Sandra, my wife, assisted me, but left with the first memory card, and uploaded the first 800 images to let Lukas start preparing the files for me. With everyone seated, the bridal party made their entrance, and heard the speeches before the wedding breakfast. I finished the photography with the bouquet throwing, first dance, and a few more of the guests dancing to the superb band, Limit, on an impressive illuminated dance floor. I got back to the office at 10.30pm, and uploaded another 600 images. On Sunday, Lukas and I worked in the photographs up to the speeches, and had the gallery on-line for Sunday evening. Had a brilliant day, thank you so much for all photos. They all look brilliant!! On Monday, we both worked on the speeches and evening shots, and they were on-line for Monday afternoon. “That’s great we love them!! Just let us know when we should start picking photos for our album? If you could give me details of album options that would be great. It was a lot of work but I love working at Norwood Hall, and it is very gratifying to get great feedback.